BYOD environments. Hand over micro-level monitoring to teachers. empowering teachers with classroom-level control. Enable teachers to monitor and manage classroom internet access without relying on IT or affecting global school or district internet use. Require students, staff and guests to authenticate personal devices to gate access to your network — particularly helpful in BYOD environments. Network-based design requires no app installations or device downloads. 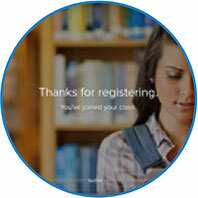 Students register their devices in seconds, and you’re done! See which school a device is located in, what type of device it is, and to whom it’s registered as it’s in use to enforce your Internet Usage Policy. Classroom-level controls won’t disrupt school or district rules, allowing flexibility with firewalls and filters. Leave YouTube open for students and let teachers block it locally, for example. 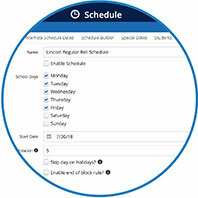 Start students in focus mode at the beginning of every class period. Limit all students to only the educational sites your school pays for, and allow teachers to open access from there. 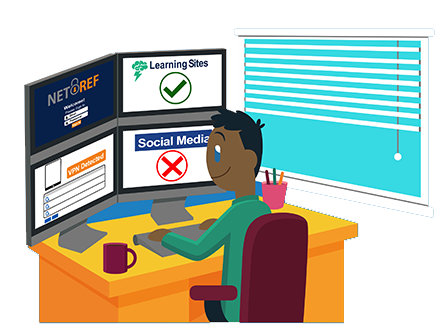 You’ve got two options: Integrate the NetRef appliance into your existing technology infrastructure or push it out as a cloud-based Chrome plugin. 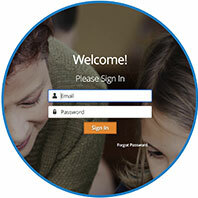 Students register devices in seconds, no downloads required. Chrome plugin users don’t have to register at all! Push the plugin, sync user data, and you’re done. 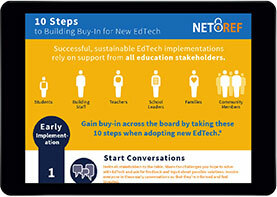 Focus on high-level device management while empowering teachers with an easy-to-use tool for managing classroom internet use without affecting school or district-level policies.